I have specialist skills in the diagnosis and treatment of back and neck pain. As clinical specialists I am able to give you a full assessment of your problem and will be able to tell you what is causing your symptoms as well as how I can help you to ease them and get back to a normal life. I use manual techniques including manipulation and mobilization to restore joint movements and ease pain. I am also very interested in your biomechanics – how your body functions as a whole – and the role this plays in your problem. I have many years experience working with muscles to restore dynamic balance and help you support your joints properly minimizing wear and tear and helping you to move efficiently and with less pain. These treatments can effectively treat pain that has been present for a few days or for many years. During the first visit, I will take a full case history. This is an important part of the initial treatment which assesses where there are possible imbalances or problem areas. A treatment usually lasts for approximately 40 min, during which time you will feel pressure on the various reflex points of the feet (or hands, in some cases). Some of the areas touched may feel tender or uncomfortable, but this is purely transitory and may be an indication of congestion/tension or imbalance in a corresponding part of the body. On the whole, the Reflexology treatment is pleasant and soothing. It will relax you and, at the same time, stimulate your own body's healing processes. After the treatment (within the following 48 hours) your body may respond. Each person responds to treatment in a unique way. You may, for example, feel extremely relaxed; or you may feel tired and lethargic; you may also feel tearful, or any number of short-lived reactions. At the end of the first treatment, the requirements for a course of treatment will be discussed, depending on your body's needs. It is usual to have one treatment per week or fortnight initially, followed by monthly maintenance. The Dorn concept is an alternative, holistic therapy used to correct misalignments in the spinal column and other joints. It is the gentler associate of chiropractic and osteopathy, similarly intentioned but with different application. It was developed in the 1970s by Dieter Dorn. Dorn uses a non-manipulative approach to correct such problems. Corrections of joint or spinal cord misalignments are done in a moving action. According to Dorn, our muscles always try to hold the positions of the joints and spine, and when they are out of order the muscles assume this ‘wrong’ position as the correct one and hold it there. A static correction, such as that used in chiropractic therapy, is difficult because it needs to overcome the strength of the holding muscles, and because the patient is often tense since the treatment is done ‘on’ him and not ‘with’ him. The gentle Breuss massage is utilized in conjunction with the Dorn method so as to relieve any tension that could hinder bone alignment. Austrian healer, Rudolf Breuss, developed the massage to regenerate intevertebral discs (fibrocartilage lying between adjacent vertebrae in the spine). Basically, the discs act as shock absorbers during our daily activities, becoming traumatized as some of their lubricant escapes, thus making the discs thinner. 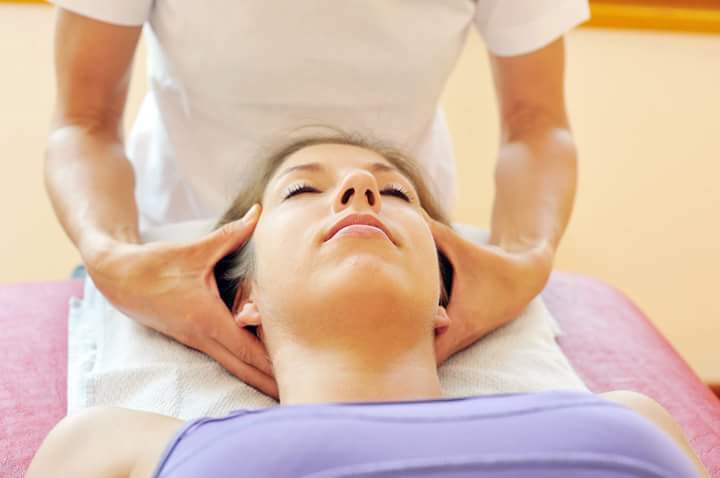 The massage, like sleep, regenerates the lubricant, destressing the spine and oneself.